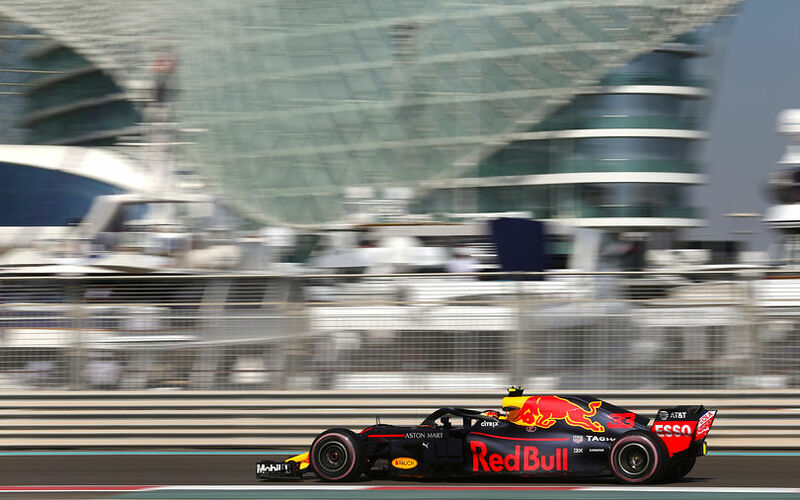 Red Bull Racing kicked off the Abu Dhabi Grand Prix weekend in surprising fashion by going fastest in the first practice session on Friday. Verstappen was flanked by Ricciardo to put their team in front, leading both Mercedes in a hot session. The first practice session at Abu Dhabi is however considered largely useless for the teams, especially as tyre data gathered during the 90 minutes is irrelevant for the rest of the weekend, given that qualifying and the race will be run in cooler conditions at dusk. The field was also fairly stretched, with the 5th fastest man, Esteban Ocon ending up 1.6s down on the pace setter. Kevin Magnussen was 6th fastest and topped for Ferrari drivers. The scarlet cars were slower than expected, much to the surprise of their drivers. Carlos Sainz and Romain Grosjean completed the top 10, despite a late spin from the Spaniard. Sainz wasn't the only one who found grip was at a premium as Hamilton was seen sliding all over the track, reporting an "unhappy car". Marcus Ericsson slid his car into the barriers at Turn 1 to break his front wing while most drivers were finding out how far was actually too far over the sausage kerbs at Turn 20.